Pte. 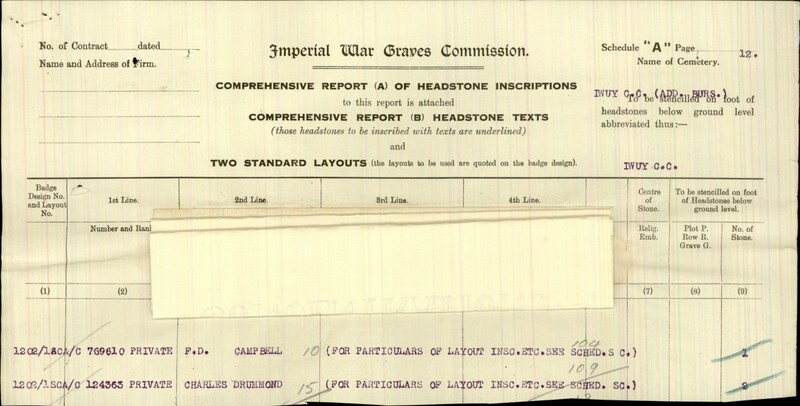 Frank D. Campbell Falls in Action and Two and a Half Years at the Front. The sad news has been cabled to Mrs. Margaret Campbell, a widow, who resides at 190 Simcoe Street. that her son, Pte. 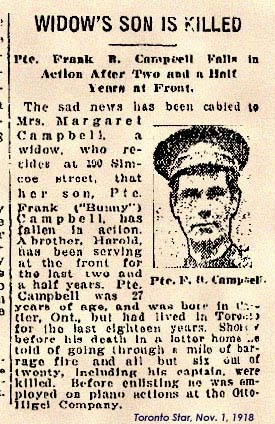 Frank (“Bunny”) Campbell has fallen in action. A brother, Harold, has been serving at the front for the last two and a half years. Pte. 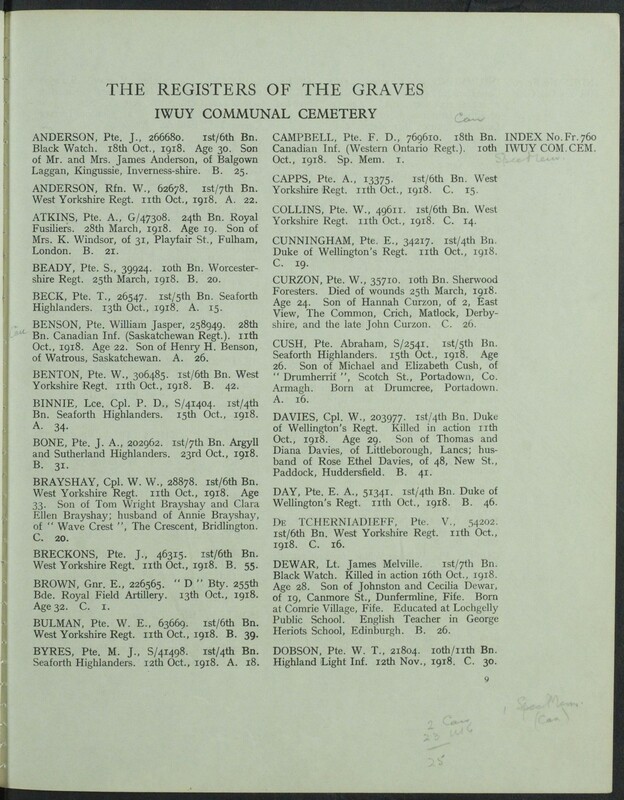 Campbell was 27 years of age, and was born in Cartier, Ont., but had lived in Toronto for the last eighteen years. 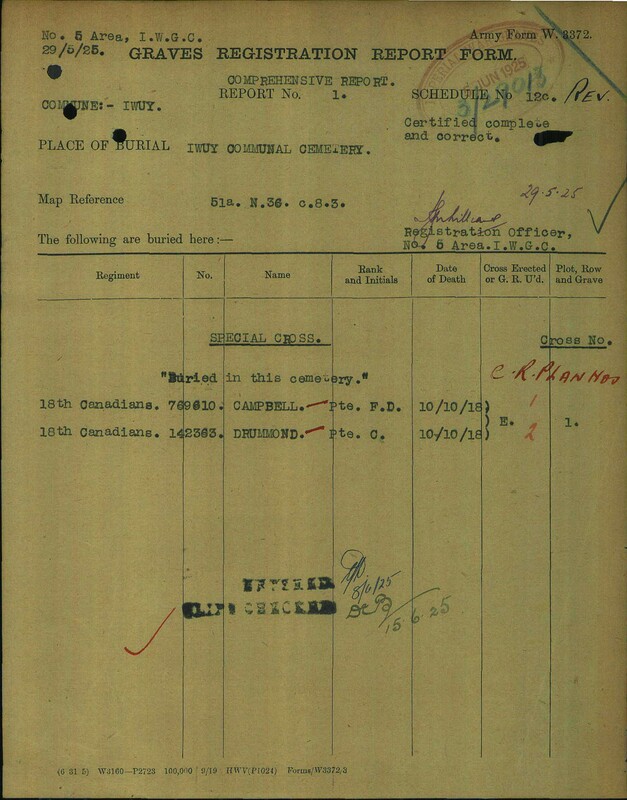 Shortly before his death in a letter home he told of going through a mile of barrage fire and all but six out of twenty, including his captain, were killed. Before enlisting he was employed on piano actions at the Ottolligel Company. 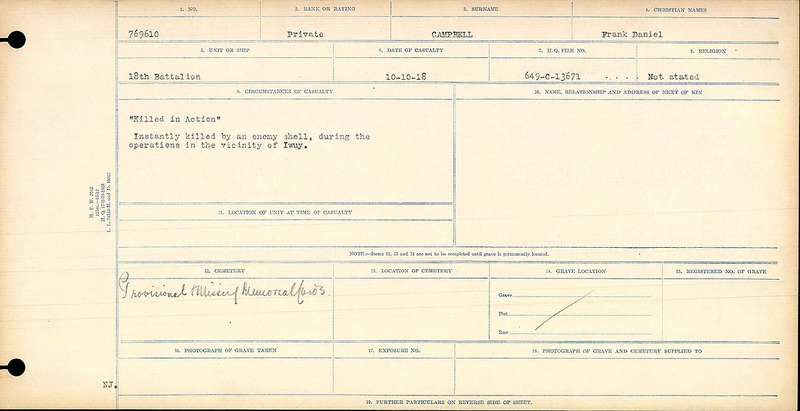 “Killed in Action” Instantly killed by an enemy shell, during the operations in the vicinity of Iwuy.